Looking for Virtual Assistant jobs? Welcome to CX Connect. Are you a VA that has experience in supporting businesses, particularly with customer related functions such as reception calls, lead generation, appointment setting, message taking etc? As one of the leading websites for people searching for call centre and phone-related services, we receive lots of enquiries from customers looking to find the right phone and customer support solutions for their business. 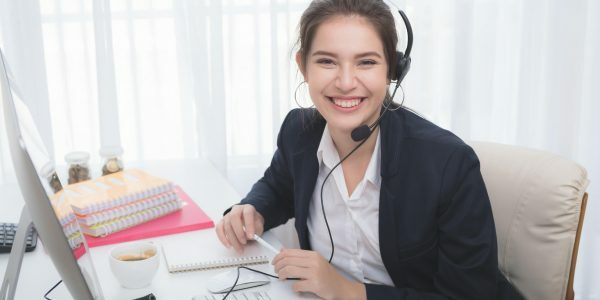 On many occasions, the big call centre outsourcers just aren’t interested in what they call ‘low volume’ work making it perfect for a Virtual Assistant. And as you don’t have the same overheads as a big centre such as facilities, layers of management and expensive technology, the cost of a VA is a very attractive option meaning we have some great leads coming in on a regular basis! When you receive a lead from us you still have full control over the proposal you provide to the customer as well negotiating pricing, contracts etc – all we do is simply arrange the introduction. This saves the customer the time, risk and costs of trying to find a good Virtual Assistant and for you, it saves you wasting your precious time with enquiries that go no-where as we only send you a lead when it meets criteria’s that you define. Unlike other models, there are no monthly subscriptions or joining fees in the hope you get some work. CX Connect costs absolutely nothing to join – you only pay us a small commission when you are successful in winning a lead we’ve referred to you so there is no risk other than missing out on valuable leads! Our model is simple, there is no cost to join and you only pay a small commission on leads you convert meaning it’s risk free for you. Our online forms act like a virtual BDM for your business enabling us to match the customer requirements directly to the services you want to provide. No more wasted time on leads that aren’t suitable! You have full control over the leads we send you. From minimum volumes, commercials models, working hours and more – all can be controlled directly in your dashboard so you never waste your time on an unsuitable lead again. Running your own business is tough which is why we allow generous payment terms to enable you to be paid before our small commissions are payable. You only pay us a small commission on leads you convert. Don’t convert the lead we refer you, you don’t pay us a cent. When we refer a lead to you, you are free to negotiate the solution, pricing and terms directly with the customer. We don’t get involved in that – we just refer you the lead with a campaign brief and contact details. Complete the form below so we have the details to prepare your Supplier Agreement and learn a little bit more about the service you offer. Our Supplier Agreement contains our Terms & Conditions including our commission structure. Once we receive a signed agreement back from you we’ll provide you with access to our Supplier Portal. So we can prepare a formal Suppliers Agreement please supply the following details below. The information will NOT be made public. This information is required to prepare our Suppliers Agreement with you - it is not made public. How long have you been supplying Virtual Assistant services? Got a question for us? Read our FAQ’s for Virtual Assistants or you can contact our Australian based support team at any time.